We are in the midst of a public awakening, of a sort, about climate change with hundreds of thousands of protestors taking to the streets this past Sunday and TV hosts interviewing celebrity guests on the issue as the United Nations prepared to hold its annual summit on the topic. But few people have been talking about the elephant, or, more appropriately, the cow, in the room. People typically point to the global transportation industry as the largest culprit in climate change. But factory farming is an even larger contributor. Today, about 70 billion animals worldwide, including cows, chickens and pigs, are crammed into Confined Animal Feeding Operations (CAFOS) each year. How does animal agriculture contribute to climate change? According to a 2006 report by the Food and Agriculture Organization of the U.N. (FAO), animal flatulence and manure are responsible for 18 percent of all human-induced greenhouse gas emissions, including 37 percent of methane emissions and 65 percent of nitrous oxide emissions. 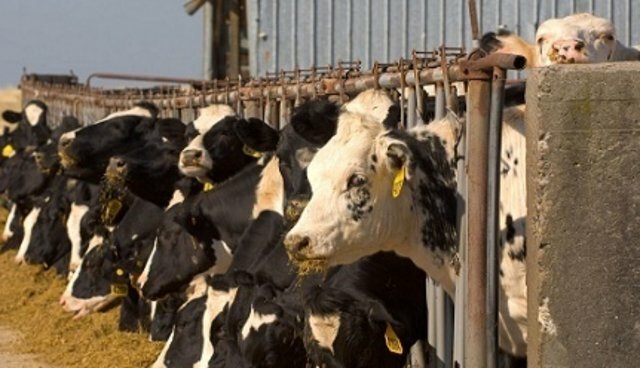 The methane releases from billions of imprisoned animals on factory farms are 70 times more damaging per ton to the earth's atmosphere than CO2. The poor diet and massive amounts of antibiotics given to these animals (to increase input-output "efficiency") exacerbates their digestive difficulties and, hence, their waste and pollution. But, on Sunday, hundreds of climate change marchers around the world were lining up at food trucks for meat – the same meat that's producing the effect motivating them to be there in the first place. Climate change experts and activists alike, such as Al Gore and Bill McKibben, are conspicuous in their neglect of the meat issue. And TV hosts and commentators barely ever make the connection. I have been to climate change dinner meetings where factory farmed animals are on the menu. We care about climate change as long as it doesn't get too inconvenient and end our barbecues and steak house jaunts. If we live in a world where everyone is afraid to talk about the "cow in the room" what chance is there for a real awakening to the consequences of human actions? Perhaps one in 70 billion?